An outback family saga that is funny, poignant and completely unexpected from Australia's favourite storyteller with new novel Arcadia out now. Di's 12th novel opens in New Zealand in the 1960s. The Mitchell family has run a prosperous sheep farm for generations and the youngest daughter, Sally, has just turned 20. She shocks her parents by becoming involved with an older man. Scandalised, they try to pack her off to England, but Sally doesn't make it. 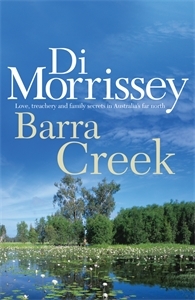 After a wild spree in Sydney, she's cashed in her ticket and, hell bent on adventure, takes a job as a governess on a remote cattle station - Barra Creek. Untamed and crocodile-infested, it's a land of deserts, jungles and wide rivers. Decades later, Sally learns a secret that will change many lives... including her own.